Privacy advocates have long warned this could happen, and now it has. A Portland, Oregon woman, claimed her Amazon Echo – an internet-connected smart speaker with an array of “far-field” microphones and a built-in virtual assistant named Alexa – had surreptitiously recorded a private conversation she had with her husband and sent it out to one of her saved contacts. The woman, identified only as Danielle, said the family was alerted by a colleague in Seattle who had received the voice file. 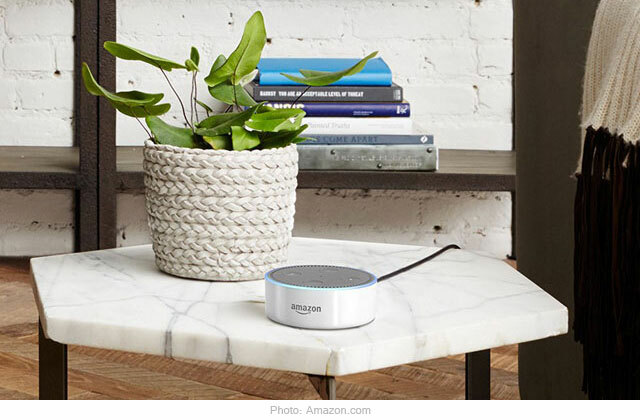 According to reports, after confirming the audio file was indeed a recording of her private conversation, Danielle and her husband went on to unplug all of their Alexa-powered devices, and reached out to the e-commerce giant, which said it would investigate. In a statement addressing the incident, Amazon said the recording was only triggered because of a voice command that interpreted the couple’s conversation as a “send message” request. Tap the menu button on the top-left side of the screen. Scroll down the page and tap ‘History’. Here, you’ll be able to sort the results by date and browse all the commands you have ever asked of Alexa. If you are uncomfortable having any particular recording in your Alexa history, you can select it and choose the option to delete it. Heavy Alexa users will probably be confronted with an enormous catalog of voice commands. Going through all of them to find those accidental recordings to delete might be too much work but then again it may be worth it since that way you’ll make sure nothing the 360-degree omni-directional speaker has recorded is something you want transmitted elsewhere. If you want a quick way to delete your entire back catalog of voice commands then head to amazon.com/ap in your web browser. From the list of devices registered to your Amazon account, select your chosen Alexa device, then Manage Your Content and Device, followed by Delete. It should be pointed out that Alexa is a cool smart home device. The digital personal assistant lets owners turn on the lights, order dinner, call a cab, play radio stations, podcasts, music and more, using only a few voice commands. That said, the reality following the Portland story is that the consequences of the smart speaker recording accidentally or not details of your life is to put it mildly, a bit creepy. At last check, Amazon (NASDAQ:AMZN) stock was up 12 points, or 0.73%, to $1,641.